Pictured at 2013 event from left: Tim Crisafulli, Hank Pauly, George Clark and Gary Slate. MEXICO – Continental Arms Collectors Association’s Revolutionary War Unit will hold its annual encampment, at Behling’s Orchard, on September 21 from noon to 3:30 p.m. Using the 1779 Army Regulations, the group interprets a company from the 1st New York Regiment, Continental Army during 1782. 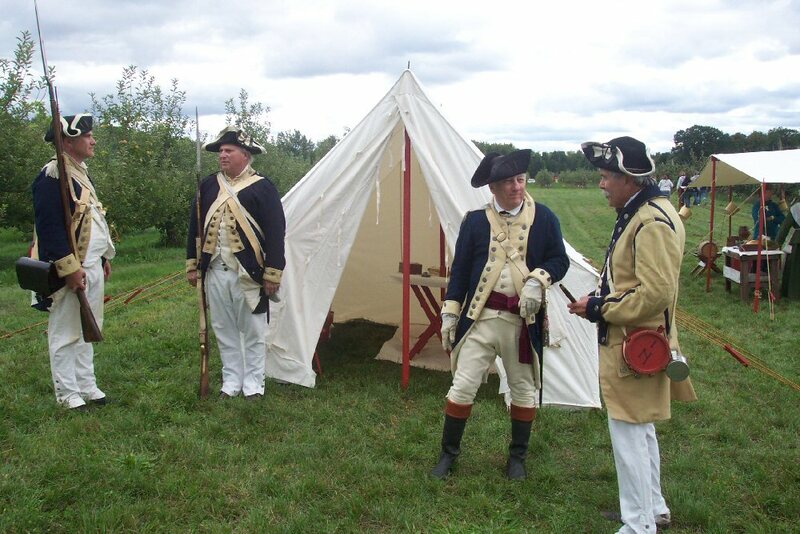 This is an opportunity to experience a re-creation of an 18th century military camp including: officer’s tent; enlisted men’s tents and an open-fire kitchen area. Along with military drills and music visitors will have a unique opportunity to talk with the interpreters and gain insight into military life during the American Revolution. Directions: Heading east on Route 104 into Mexico turn left onto Fravor Road and then turn left onto Potter Road.